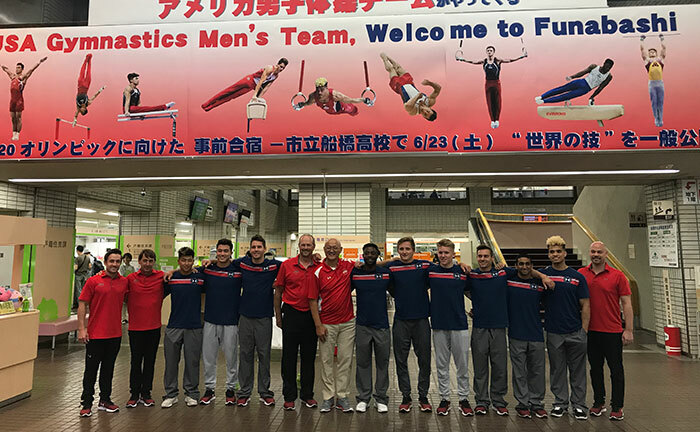 INDIANAPOLIS, June 17, 2018 – Nine members of the men’s senior national team are participating in a training camp in Japan at the new Funabashi men’s gymnastics training center, June 17 to 24. The camp’s goals are to become familiar with travel and the environment in Japan, as well as to train with local elite athletes. Scouting trips to the Olympic Village and competition area are also planned. “We are excited for the opportunity to travel to Japan, train in a world class facility and begin the acclimation process in preparation for the 2020 Olympic Games,” said High Performance Director Brett McClure. The city of Funabashi is sponsoring significant portions of the camp as part of an agreement with the U.S. Men’s National Team that extends to the 2020 Olympic Games in Tokyo. 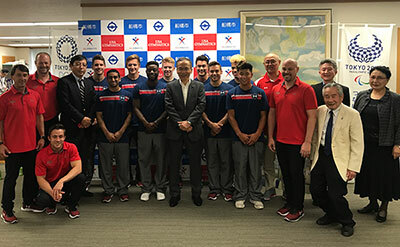 In addition to training at the recently completed men’s “state of the art” training facility, the city of Funabashi is rolling out the red carpet for the U.S. Team with several community outreach activities planned for the week of the camp. The U.S. National Team members attending the camp are listed below. Josh Loeser with the U.S. Olympic Team Training Center resident team and Mark Williams with the University of Oklahoma are the coaches attending the camp.